Spectacular aerial views of the New England landscape, as the leaves change colors, captured by Boston-based filmmaker Julian Tryba. Using a drone and a GoPro camera, he flew for hundreds of miles and even included seasonal transitions so you can see the before and after shots. New England is known for its spectacular display of colors during the foliage season. Each fall, billions of leaves change from green into a kaleidoscope of colors. With the help of a drone, I was able to film this breathtaking phenomenon. I flew for hundreds of miles and accumulated over 24 hours of flight time this fall. Whether it was flying through clouds at sunrise or soaring above treetops at sunset, I loved every minute of it. 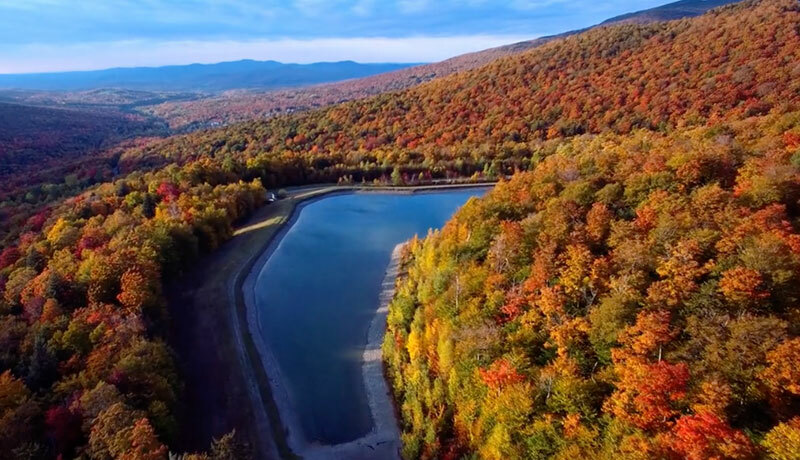 Spectacular aerial views of the New England landscape as the leaves change colors captured by Boston-based filmmaker Julian Tryba.